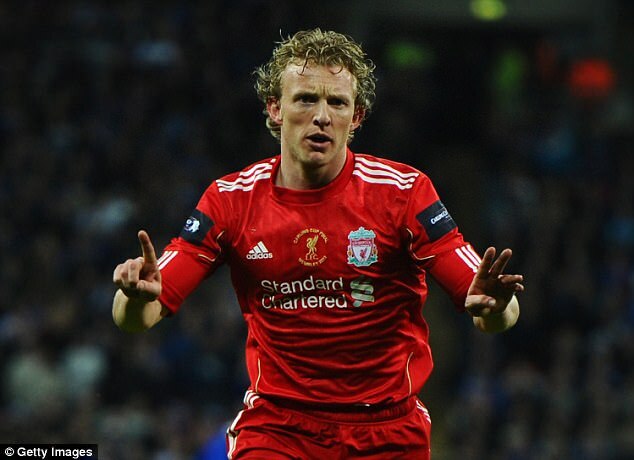 Former Liverpool attacker Dirk Kuyt has announced his retirement from playing at the age of 36. It brings an end to a fabulous 19-year career which saw Kuyt represent Utrecht, Feyenoord, Liverpool and Fenerbahce, while earning 104 caps for Netherlands. Kuyt, 36, rounded off his career in fantastic fashion, scoring a hat-trick in a 3-1 over Heracles to pip Ajax to the Eredivisie title in the final fixture of Holland's top flight. Kuyt added: "For me feels this as the right time to stop". Dirk Kuyt, the veteran captain of Feyenoord who led his team to its first Dutch league title in 18 years, is retiring. "All my dreams have come true". Feyenoord have now said that Kuyt will be focusing on gaining a position with their technical management team with future aspirations to go into management. "I wanted to remain involved himself at Feyenoord, because this is a great club, so too recent days proved again". Technical director Martin van Geel will act as his mentor. "We are incredibly grateful to Dirk for what he has done for Feyenoord these past two years", Van Geel said. After winning the title last week Kuyt's comments were praised by many saying it highlighted the Dutch man's great attitude towards the game. His only trophy with Liverpool came in 2012 when Kenny Dalglish's side won the League Cup. "With his attitude, professionalism and passion, he has added so much to the dressing room, on the pitch and off it". "We are therefore delighted that we can retain someone with his experience and setting the club". Kuyt, who can play at multiple positions like forward, winger and attacking midfielder, also made 104 worldwide appearances, including the 2010 FIFA World Cup final and the third place at the 2014 World Cup in Brazil. "I'm going to train Dirk and I can imagine that he'll follow me in due course".